NorthBay Healthcare’s Advanced Medicine Lecture Series fall schedule features local physicians. Dr. Ginsberg will offer his insights on ADHD, a disorder that affects nearly 5 percent of children worldwide. Art Show & Reception 4 to 6 p.m. Featuring James Long, M.D. ; J.D. Lopez, M.D. ; & Brian Vikstrom, M.D., Oncologists, NorthBay Cancer Center. Experience the courage and dignity of survivors in a special art show that precedes a lecture on the latest updates and information on the treatment of breast cancer. Lecture Presentation 6 to 7 p.m. 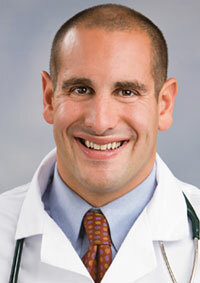 Featuring Pediatrician Michael Ginsberg, MD, NorthBay Center for Primary Care. There are a number of strategies you can employ to help both you and your child, from diet and exercise to therapy and medication. Lectures are free and held at the NorthBay Healthcare Administration Building, 4500 Business Center Drive in Fairfield. Please RSVP by calling (707) 646-3280.